Or, their house, rather. Trust me, this is tame in comparison to years past. Sarah's post on making your home YOUR haven made me look out the window and think of the Griswolds. Their way of decorating their house might not be my style, but they spent years creating a fun place for their kids to enjoy Halloween and now they offer my kids a nightly show to rival a Pink Floyd concert. I don't cringe anymore when Mr. Griswold clambers up his ladder. I smile in anticipation of the shouts of excitement each night when the lights go up. We don't have ANY Halloween decorations up! I'm such a slacker. 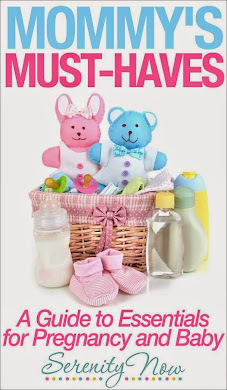 It is quite Groswold-ish, but cute, anyway! Up until about 12 years ago, nobody decorated much for Halloween until just about the actual day. That's my life memory, anyway, spanning two countries and several states. Then all of a sudden Halloween lights and everything started showing up in stores, and people started decorating a couple weeks before. Now it starts Oct. 1 and the neighborhood looks almost as lit up as Christmas. I guess I'm used to it now, but I'm like you, it's not really my style. Mr. Griswold is sure to go all out this Christmas now that he knows how much your little ones like the lights. I personally am way too lazy to put that much effort into outdoor lights or decorations, but I can appreciate people who do. People probably have a tradition of driving down your street to see his displays. You'll have to keep us updated on what he does this year at Christmas time. I'm lazy with Christmas decorations, but love looking at the handy work of others. The tackier the better! 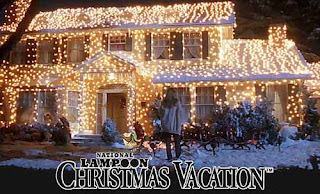 It will be a sad day for your street if and when "mr griswold" doesn't put up lights. I bet knowing how much your kids enjoy it really makes him happy too. That is what the holidays are all about, the kids. 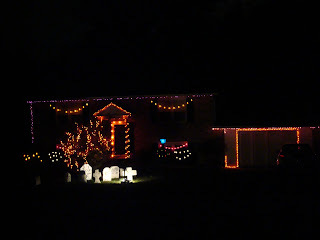 There is a neighborhood here in our area that the entire street decorates! It is amazing what they come up with each year, and that they have the time and energy to do it. I have never stopped to take pictures, but might have to next year. super sweet! 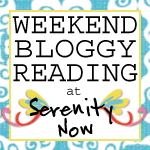 oh and I LOVE the name of your blog!